In an excerpt from our ebook, we answer questions from leaders about achieving success with an Office 365 implementation project. If your organization is going through massive change, it’s tough to do a program like an Office 365 implementation and adoption well. Make sure it is the right time to introduce Office 365 and that it will support your current key business goals. Even before you start to drive this level of engagement, your leadership needs to understand the need to do this well and be willing to support your efforts. Key points throughout our ebook can support your case and we can help you with those initial conversations also. Below we answer some frequently asked questions regarding adoption success, maintaining momentum, and whether your organization can do this alone. FAQ #1: When is Adoption a Success? Change management is often thought of as not measurable. Most organizations will measure the basics such as number of training courses and people trained, but that doesn’t really tell us if the change effort was successful. So how does an organization measure adoption success? The first measurement is engagement and activities we know hint at adoption. These include leadership’s use of the tool and employee engagement as well as training and post-training success. Measuring these activities tells us if users are engaged and the approach is working. These measurements provide early signs of success or failure. The second measurement is the performance metrics that result from increased adoption. This includes documenting and analyzing changes in operating costs, productivity, help desk volume, SharePoint usage, employee satisfaction, project costs, and time spent on projects. Although most of these are lagging indicators, they can be useful in determining whether to make corrections in your approach to driving adoption – or they can point to success. As noted in Step 8 of our change management strategy outlined in the ebook, measuring adoption is key to understanding what’s working and not working. Because Office 365 is not a one-time technology implementation project, you need to adjust as you go to ensure adoption occurs in a natural, timely manner. Begin by establishing solid metrics that point you in the right direction. FAQ #2: How Do We Maintain Momentum? Once you have successfully established a collaborative work environment that embraces Office 365, continue to model the use of tools to ensure you sustain the shift in the cultural mindset. Culture doesn’t change overnight so you need to think through your sustainability plan for 30, 60, 90 days and a year out. Sustainability plan – Outline specific activities to continue the momentum. Communication plan – Continue sharing successes, including small and big wins. Leadership engagement plan – Ensure that leadership, both formal and informal, continue to use the platform as the only tools for collaborative activities. Over time, leaders may revert back to old behaviors. Periodic check points and refresher communication regarding the importance of leadership’s use is critical to continued success in driving collaboration and use of Office 365 tools. Understand what collaboration skills and tools the new user’s role requires. Understand the new user’s base level of experience and skill in the Office 365. Communicate and demonstrate the importance of collaboration to new users. Don’t assume that new users will figure it out on their own. Ensure that new users know where to go for support if they have questions. Add new users to a user group that includes experienced collaborators. FAQ #3: Can We Do This Alone? You might expect our answer to be no and that you need us to do this. While we believe our experience adds significant value in the speed and sustainability of adoption, if you have a strong internal change management team, they could do this with the right approach. However, when it comes to adopting Office 365, do not underestimate what it takes to change people’s mindsets. And don’t automatically expect your project managers or business liaisons to have the knowledge and experience to tackle this work. You need dedicated change resources to do this well. Otherwise, you will not effectively implement Office 365 and eventually go back to the drawing board after a lot of work and expense. Many companies count on Microsoft’s FastTrack approach, which provides guidance on change management, for help in making the migration. However, FastTrack’s materials primarily address the tool itself and don’t stress enough the need to adopt specific collaborative behaviors that support your goals. The best approach to accelerate adoption and ensure it is sustainable includes understanding user behaviors such as what motivates them, and spearheading the right combination of actions necessary to ensure change takes place. Since human behavior is at the core of adoption, it is important to understand what drives resistance, and when needed, how to move beyond it. This requires the assistance of an experienced change management team. You need a partner that can work with leadership, understands the organization and embraces collaboration and employee engagement. Sometimes an external partner can be more successful than internal resources because they can point to industry best practices and examples of how other organizations have adopted Office 365. Also, an experienced Office 365 change management team can more quickly and successfully implement change because they have done this before – and know what works and what doesn’t. In our ebook, “Go Beyond Email with Office 365: How to Drive Adoption of a Collaborative Digital Workplace,” we explain how to drive adoption of Office 365 by implementing a change management strategy that focuses on three critical elements – and eight steps for success. Joe Hartsel is a National Enterprise Collaboration Practice Lead. He is one of three authors of our ebook “Go Beyond Email with Office 365: How to Drive Adoption of a Collaborative Digital Workplace.” An experienced IT and business consultant who focuses on helping organizations improve communication, collaboration, and productivity by aligning business drivers with technical solutions. 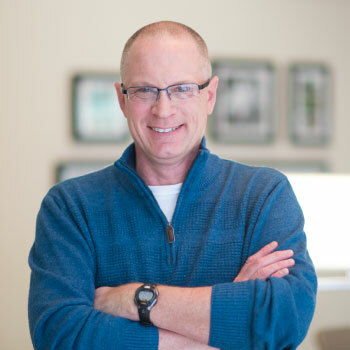 A Microsoft Certified Sales Specialist and Technical Sales Specialist for Office 365 and SharePoint, Joe focuses on helping organizations increase employee engagement and maximize benefits. Already have Office 365, but need help? We can collaborate.